Where you will find...jackets, rain capes, brollies, wellies and more! 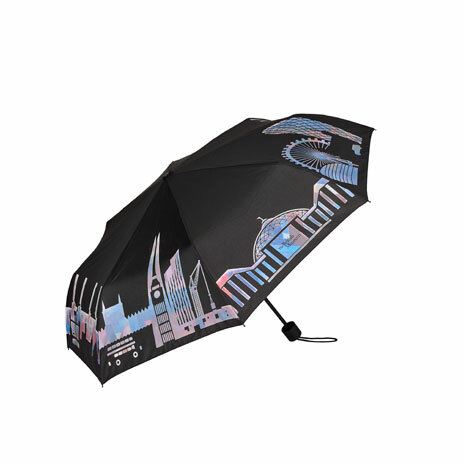 Voted one of the Independent's top 10 umbrellas, this unique umbrella changes colour when wet to reveal a bright London- themed design. The London design features images of Tower Bridge, Big Ben, a red Bus, the Union Jack and part of the Museum's Greek temple-style pediment. A wonderful novelty gift from the British Museum. 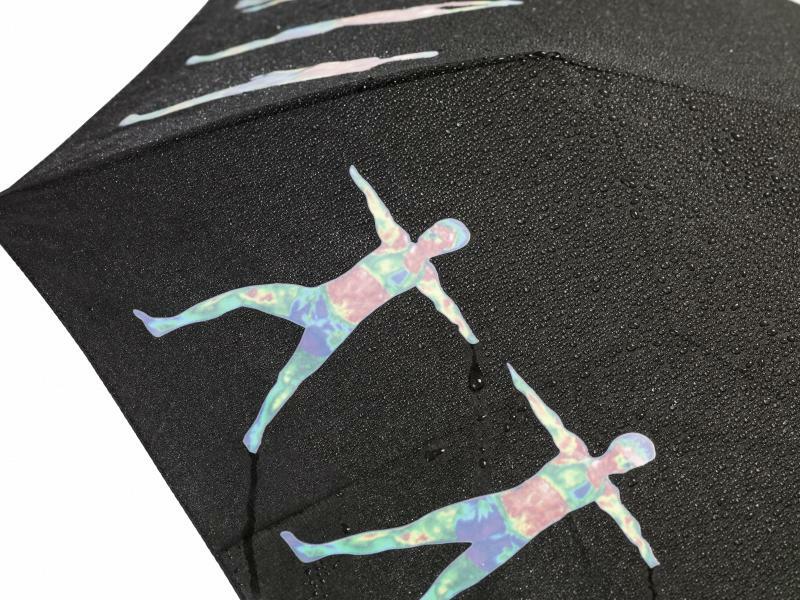 The design of this umbrella is based on a zoetrope, a cylindrical, pre-film animation device that gives the illusion of movement. The man and woman featured in the images are practising yoga, which has been imaged using thermography.